Location: Jackson, Mississippi | Browse the most current Suzuki Samurai ads below. These are the ten most recent Samurais listed for sale. If available, use the page navigation below for more listings. 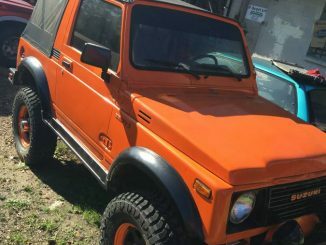 1991 Suzuki Samurai 1.3L 4 cyl. Fuel Injected. 80k miles. Original engine. New starter and battery. 2-wheel drive. Cranks and runs good. Good brakes.